Marc Morano, publisher of Climate Depot and a fiery critic of global warming alarmism, sees the films’ collective failures differently. Mr. Morano calls the box office failures a disconnect between show business and its consumers. Climate change got its close-up in 2017. A gaggle of films either name-checked Al Gore’s biggest fear or built their narratives around it. The timing, in theory, couldn’t be better for Hollywood bean counters: Three major hurricanes. Massive fires in the West. Record-setting chills. Media reports routinely connected the disasters with a warming planet. Yet audiences stayed away from films influenced by eco-concerns. Far, far away. Think “Blade Runner 2049,” “Geostorm,” “Downsizing,” “An Inconvenient Sequel: Truth to Power” and “mother!” They all flopped, some in spectacular fashion. Mr. Gore’s sequel to his documentary smash “An Inconvenient Truth” paid the most attention to climate change, of course. The 2006 original scored with audiences and Oscar voters, earning best documentary honors. The sequel snared a fraction of the first film’s tally: $3 million versus $24 million. That’s despite massive media attention, mostly fawning reviews and promotion from eco-conscious stars such as Paul McCartney, Bono and Pharrell Williams. Documentaries rarely make serious coin at the box office, but the drop was massive. “Geostorm” promised B-movie thrills with a tale of the Earth’s weather run amok. Audiences typically adore disaster films — the cheesier, the better. So what happened? The movie raked in $33 million from a reported $120 million budget. “Downsizing,” a rare flop from director Alexander Payne (“About Schmidt”), envisioned a future in which people can shrink themselves to the height of a grapefruit. That fueled some cheeky social commentary and a recurring message about the world’s dwindling resources. “Mother!” and “Blade Runner 2049” touched on climate change in more subtle ways. Is there a connection among the flops, or is Hollywood circa 2017 more unpredictable than ever? 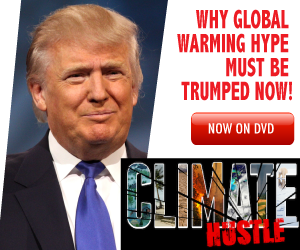 Justin Haskins, executive editor at the right-leaning, free-market Heartland Institute, said Hollywood insiders remain fixated on saving the planet. A Pew Research survey this year found that “the environment” does not rank among the top 10 public policy concerns of most Americans, trailing behind “terrorism,” “the economy,” “education” and “jobs,” among others. Mr. Haskins said it wasn’t always this way. Hits such as “An Inconvenient Truth” and “The Day After Tomorrow,” the 2004 film that dove directly into climate change fears, touched a nerve. The box office receipts proved it. “Tomorrow” hauled in $186 million despite tepid reviews. At the time, audiences were genuinely scared about what climate change could mean to the planet, he said. Time passed, though, and many of the frightening predictions made by Mr. Gore and like-minded activists didn’t come to fruition. “They stopped believing the problem was as serious as what Al Gore was saying,” Mr. Haskins said. Is it any wonder climate change alarmism isn’t an easy sell at the cineplex? Doug Stone, president of Box Office Analyst, doesn’t see a connection between the failing films and their climate change elements. “Blade Runner 2049” underperformed because of its length (164 minutes) and the confusion it caused for those who didn’t know the original by heart, he said. The marketing team behind “Downsizing” may have hurt the film as much as the content, Mr. Stone said. Paramount Pictures pitched the Matt Damon feature as a comedy despite its somber presentation. That kind of bait-and-switch tactic often backfires, especially with social media providing near-instant word-of-mouth results. The movie’s marketing team also kept the climate change elements out of its initial trailers. “They knew they had a picture that was difficult to sell,” Mr. Stone said. Could it be that the aforementioned filmmakers let their artistry wane while sending a message? Mr. Payne, the Oscar winner behind celebrated movies such as “Sideways” and “The Descendants,” co-wrote “Downsizing.” The new film lacks the zip and humor of his previous efforts, which focused on entertainment first and foremost. Director David Zucker of “Airplane!” fame suggested as much after the failure of his conservative comedy “An American Carol” in 2008. But Mr. Stone suggests that’s not always the case and points to two 2017 films as proof: “Get Out” and “The Big Sick” both had something to say about racism in America. Each overperformed at the box office and may even nab an Oscar nomination or two next month.